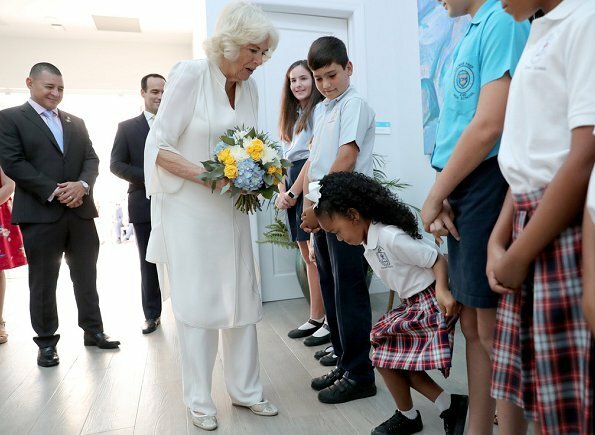 On March 27, 2019, The Prince of Wales and the Duchess of Cornwall arrived at Owen Roberts International Airport in Cayman Islands. 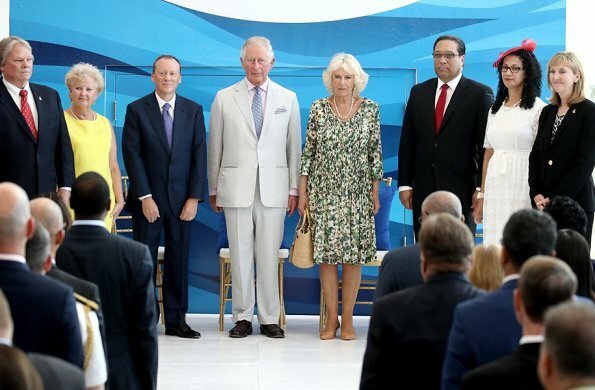 The Prince and The Duchess attended a meeting with The Premier and The Governor. 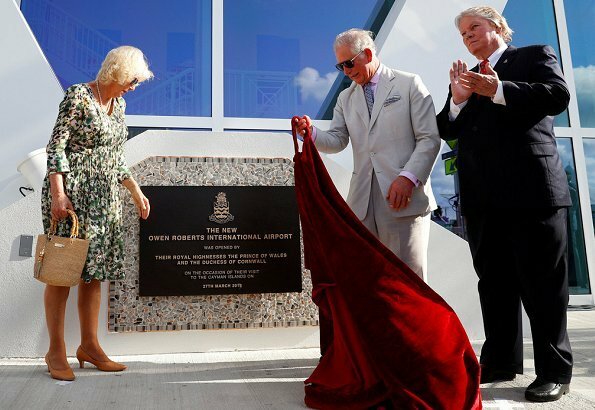 The Duke and the Duchess attended the opening of a new terminal at the Owen Roberts International Airport in George Town. 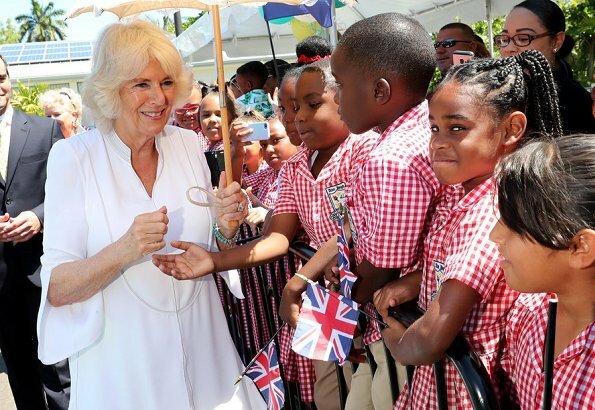 The Prince and The Duchess visited all three of the Cayman Islands, and met with members of the local communities from each island and attended a series of engagements focusing on sustainability and marine conservation. 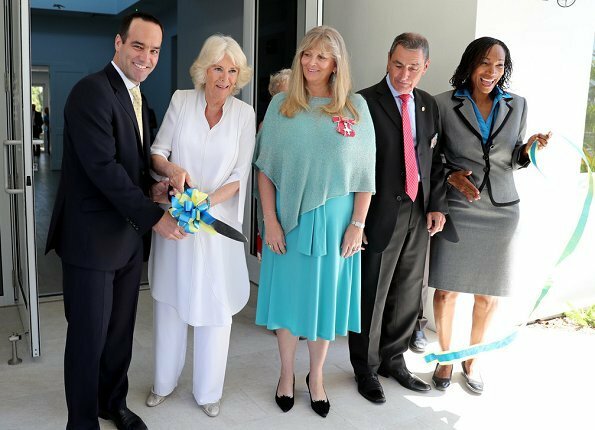 On March 28, 2019, The Duchess of Cornwall visited Jasmine Villa Hospice in Grand Cayman. 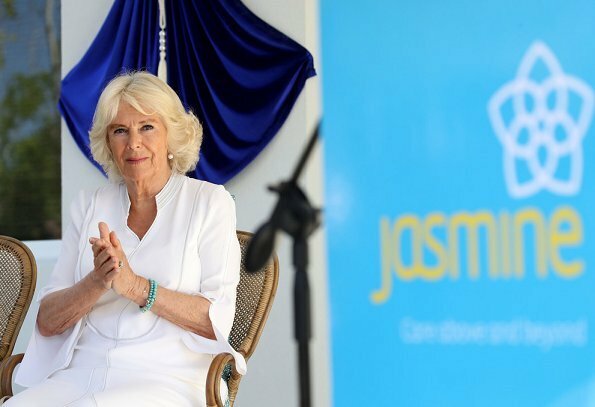 Jasmine Hospice is a not-for-profit organisation dedicated to providing professional, dignified and compassionate care, free of charge, to anyone in the Cayman Islands living with debilitating long-term or end-stage conditions. 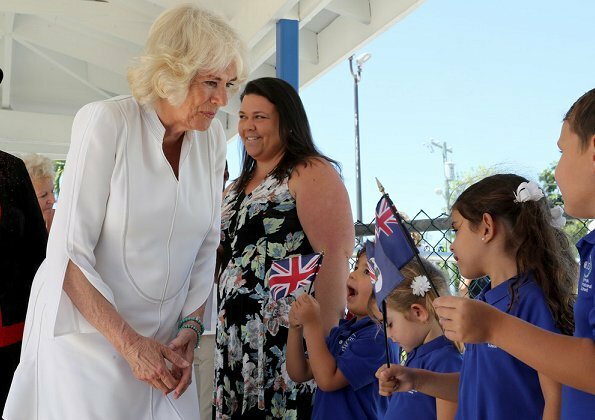 Afterwards, The Duchess of Cornwall visited Georgetown Primary School in Grand Cayman. I love the little bag . What a long journey! She looks little bit tired. They are on their last leg of their visits. 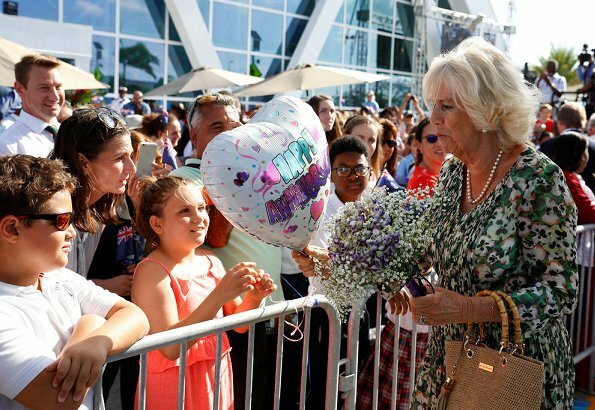 Camilla looks a bit tired, but well put together.Love that spring dress. 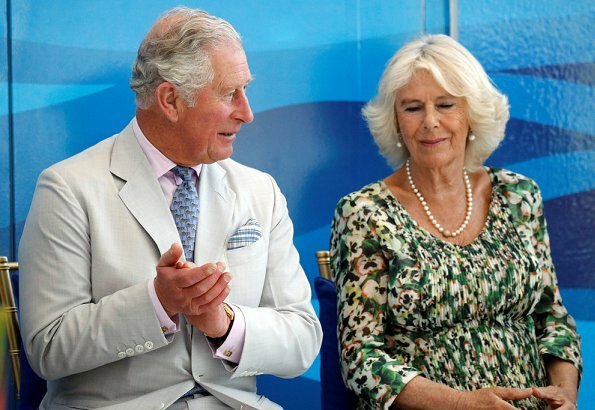 She also looks good in white.I think Charles is happy when she is at his side. She needs to lighten her eyebrows and shape them so they aren't so heavy. 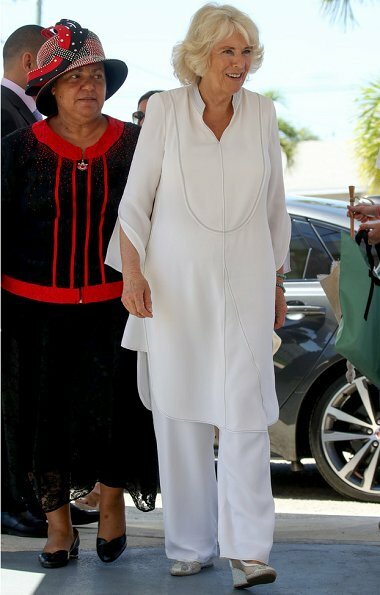 In the photos with the white outfit, her eyebrows look quite strange. It looks as if she has very few and they are painted on. 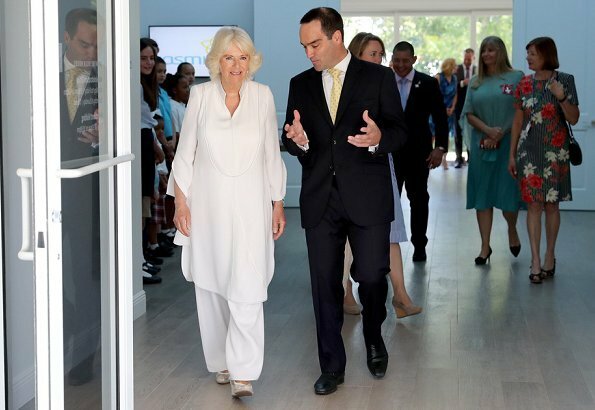 Sorry, I am not liking any of the Duchess' outfits lately. I wish she would wear a simplier style with a belt. She is probably trying to cover up her heavy middle bulk, but floral flouncy dresses aren't the way to go. 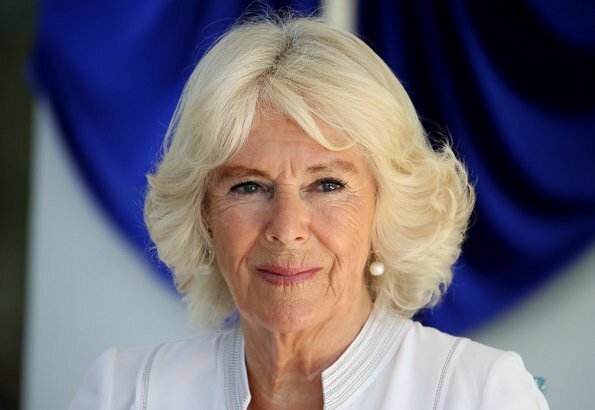 She has a lovely smile and her hair always looks well coiffed, even though I would love to see her in a more updated style ... just a change for awhile. 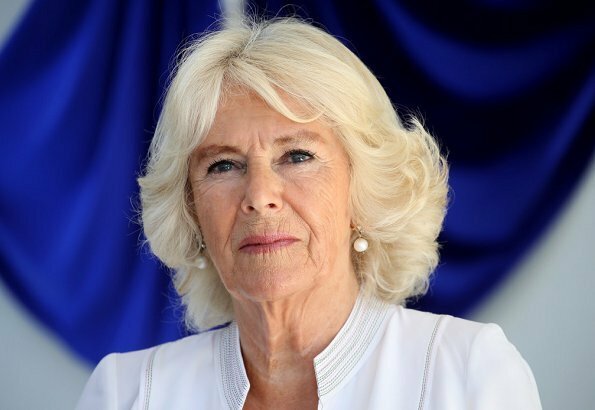 But she's worn her hair this way for years and I guess it works for her. I like the white tunic on her and her hairdo as well. Not a fan of the dress, she can do much better. 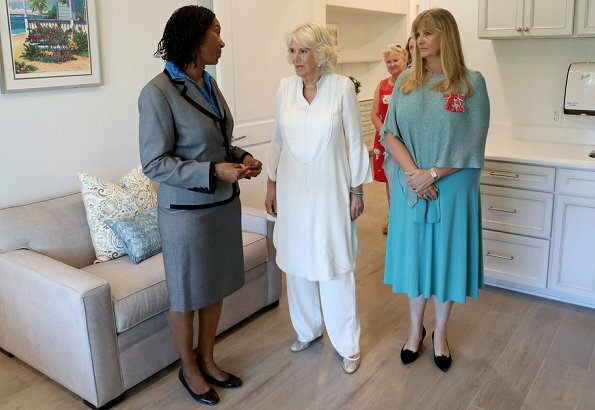 There is not so much variation on this trip just tunic or floral dress. But the thing is, that their smile is missing the last two times. She had a very hard time fighting for her love and he as well. What she went through is .. hope they have found their way.